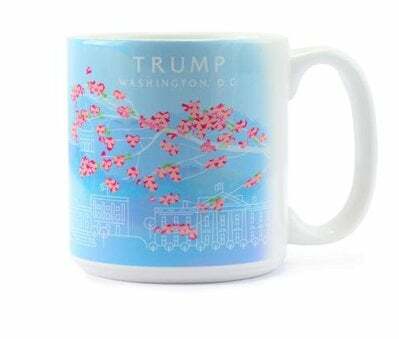 Nothing says spring in Washington quite like the cherry blossom kitsch that’s seasonally appropriate for only three to four weeks out of the year. 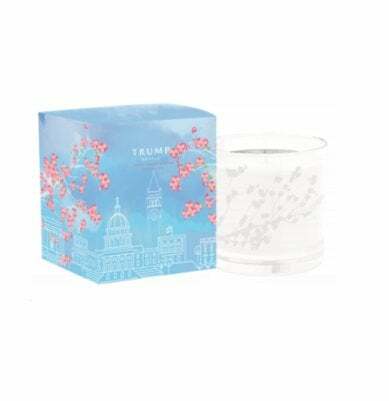 As luck has it, residents and tourists alike can adorn themselves in Sakura blossoms with a collaboration between the Trump International Hotel and “springtime.” Unfortunately, there are no “Fake Blooms!” hats. For a little over 30 bucks, you can douse your room (or yourself) in a scent “inspired by springtime days and cherry blossom.” Looks like the secret sauce contains cherry blossom flower, peach and vanilla. 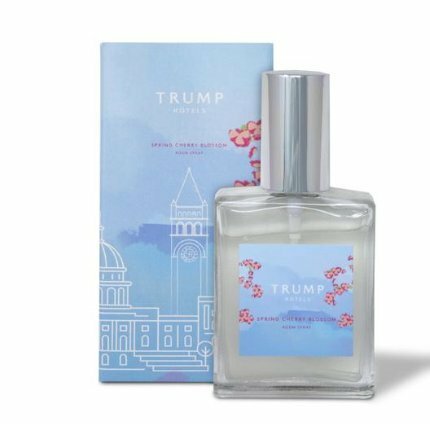 According to the website, this unique concoction of smells is “exclusive” to the Trump Hotel DC, so that Bath & Body Works spray you’ve had since 2007 won’t be a sufficient dupe. Maybe I should pick up a bottle or two for the White House basement—it’s a little musty down there. 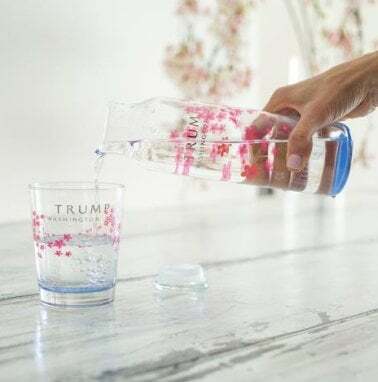 When regular water won’t suffice, reach for the Trump branded “Cherry Blossom Hydration Bottle with Lid” and pour some Trump Ice Spring water (yes, that exists) into your glass to get the real spring experience. Never be a thirsty Liddle Marco again! I feel hydrated just looking at this. 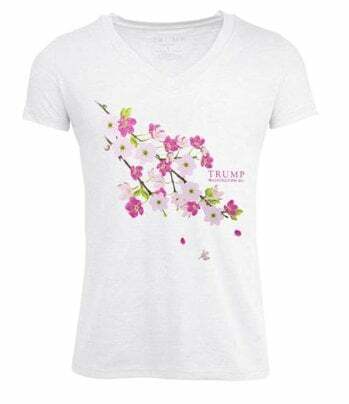 This cherry blossom branch tee comes with a lightly proofread promise to “sure become your new favorite item.” It could become a staple for any wardrobe, the hotel says. Paired with a visor and Croakies, sure? 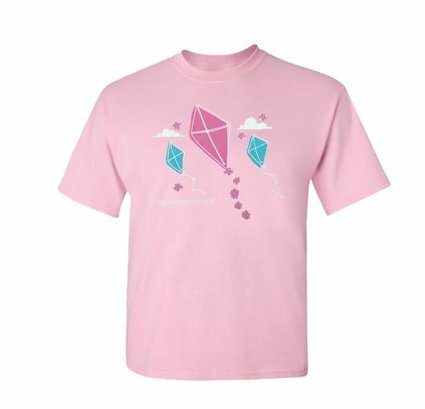 Inspired by the annual Cherry Blossom Festival kite event, this kid’s tee is actually quite cute. It’s unisex, and probably something I would buy in an itty-bitty size for my Shih Tzus. Maybe you can buy it and cut off the sleeves and wear it to Orange Theory? 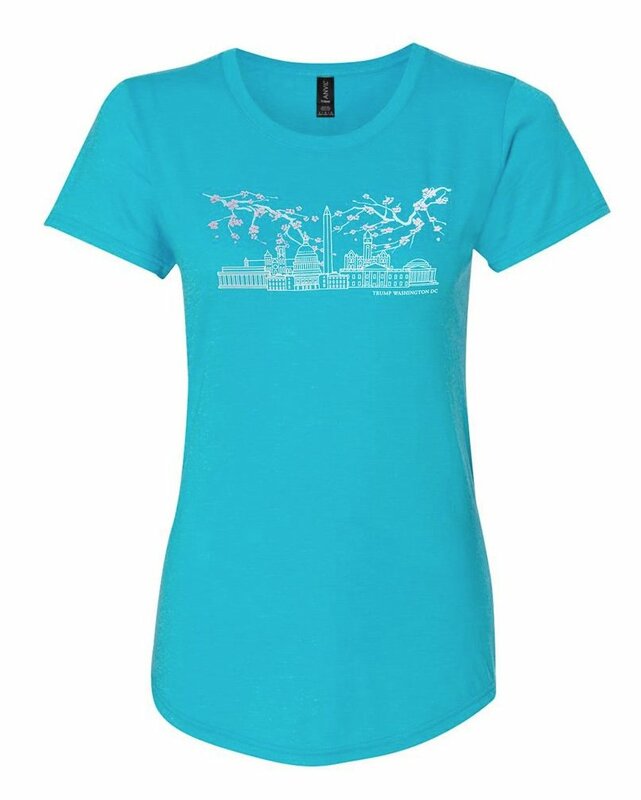 The youth kite tee is also one of the only items not overly adorned in tree petals. The Trump branding here is also subtle. 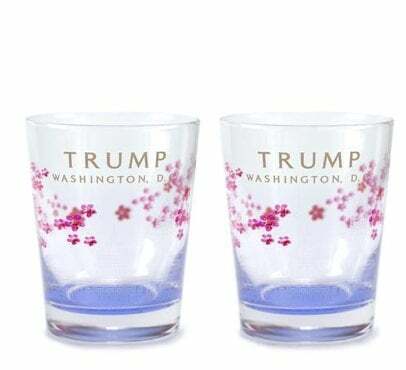 For the MAGA lover who finds most bottles neither lib-owning nor coffee-friendly enough, I introduce the Cherry Blossom Tumbler. The tumbler comes with a choice of dark blue, pink, and white lids. 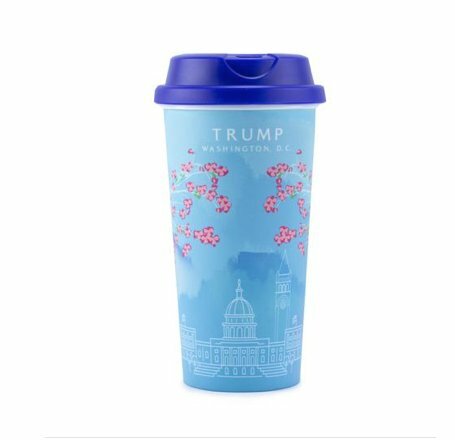 Trump Hotel calls it the “ultimate collector’s item.” Well, I can think of an item that would give it a run for its money! But the cup seems designed to do a decent job of keeping warm things warm—and at under $20, it’s not too badly priced. More of a mug person? Save two bucks and get the “jumbo mug,” which indeed holds 20 ounces of your preferred libation. I’m thinking a mojito, but I guess you could fill this with coffee or water, too. If you’re staying at the hotel, use the mug to smuggle up the complementary nuts and jelly beans from the lobby. Just don’t tell hotel staff I sent you. Hotel bar soaps are generally bad. I’ve almost always found them drying, overperfumed, and underwhelming. 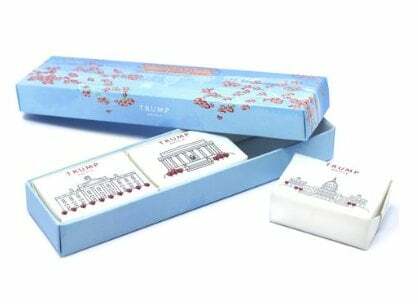 But at least this set has illustrations of the Capitol, White House, and Lincoln Memorial on the packaging? The hotel’s “luxurious vegetable soap” may be great for someone who wants a taste of what it’s like to stay at the hotel but isn’t quite prepared to shell out upward of $500 a night. Here’s where things get weirdly pricey. 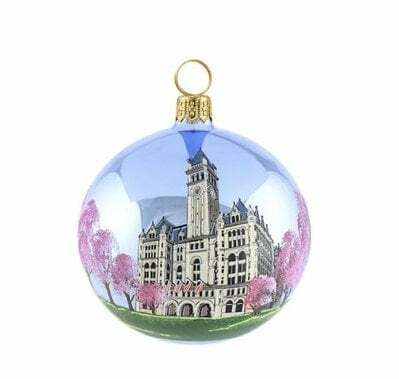 The Trump Hotel lets you immortalize the Old Post Office building surrounded by cherry trees in a mouth blown Christmas ornament for the stiff price of $60. “These angelic, soft-pink flowers are sure bring a sense of renewal and lavish spectacle to one’s home this holiday season,” the listing (sort of) reads. I’m going to need a couple swigs from my Cherry Blossom Old Fashioned glasses to convince me to buy this one.